Note: You must uninstall your current driver and OneTouch software to install an updated driver. If your computer blocks the download for security reasons, you need to click the top bar for options, then try the download again. Visioneer Update will automatically detect your scanner and check for the latest drivers and bundled software. You may choose to use Update or you may download only the driver and software you need from the links below. Be advised that many of the bundled software packages can only be downloaded through Visioneer Update or the installation DVD. For technical support, please contact us. Driver for Windows 10, 8, 7. Includes DriverPLUS and Acuity Technology. This download includes Windows device driver(s) required to operate your scanner, all applicable TWAIN, WIA, and ISIS drivers, and Acuity (Automatic Intelligent Image Correction Software). See product specifications for supported drivers. Visioneer OneTouch is a utility that connects scanner buttons with pre-selected destinations (and/or applications) and allows you to scan into these destinations by simply pressing one button. 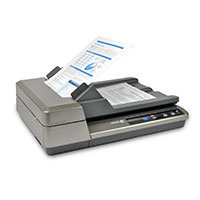 Destinations can include your email, Word processor, printer or simply a file folder. Optional software and utilities that allow you to configure, calibrate, check error codes, perform maintenance, and obtain statistics. Includes troubleshooting and reinstallation procedures. Includes details on OneTouch software. Describes scanning from TWAIN and WIA. This site is owned and operated by Visioneer, Inc., a Xerox Trademark Licensee. Xerox® is a trademark of the Xerox Corporation, used under license.